Several months ago, I led a discussion for a house church on the topic of personal evangelism. I heard 8 different stories of how people came to faith in Jesus. For many, the initial encounter then led to a series of events over a year that helped each one surrender their life to the Lord. 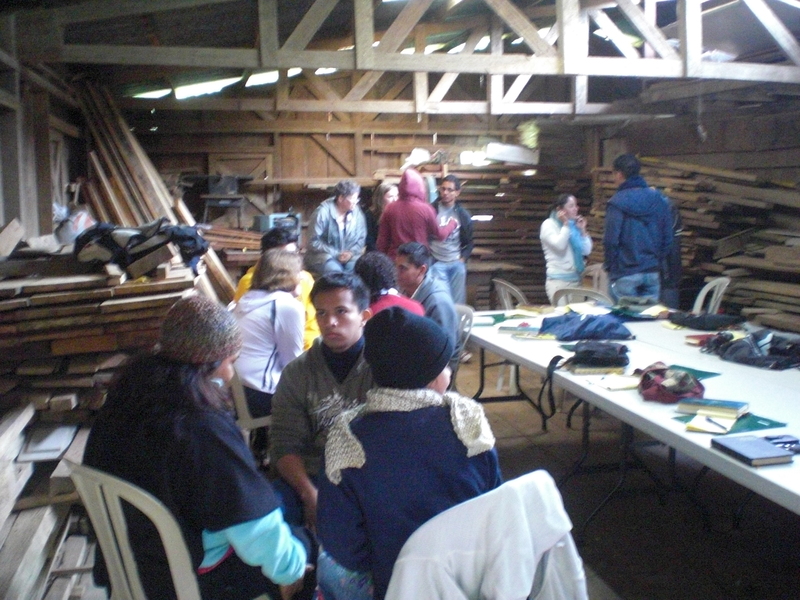 After hearing all the stories, the group members saw the uniqueness of their journeys to Christ. I went on to share about the process of evangelism, some of the most foundational teaching in our ministry. It helps people see that we can’t rush or compact the conversion process down to a fixed 3 minute script over John 3:16, 3 questions and prayer. In fact, no one in the group that night came to faith because of a fixed gospel presentation. That was June. Here in December, I ran into one of those church members and he shared with me what that 1 hour had meant to him. 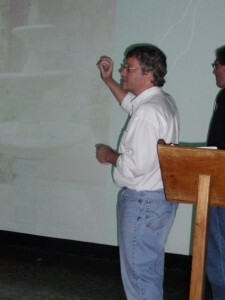 Prior to the workshop, he had been feeling guilty that his scripted presentations were not working. As a result, there was much personal condemnation. However, that discussion that night over the process of evangelism brought him personal liberty from condemnation. The clarity he got from the teaching that night helped him to see how he can play a role in the process of evangelism and that freed him from that sense of personal guilt that he was ineffective. I received a lot of encouragement from his words. He sought me out in a crowded room to share with me the impact of that night that happened 6 months ago. As a teacher / trainer, measuring the fruit of workshops is hard until someone comes back to say thanks. A few Saturday’s ago, our family was richly blessed to serve in partnership with a local church in the community of Camitillo, a collection of 7 smaller communities tucked back in the mountains and near a cement manufacturing plant. 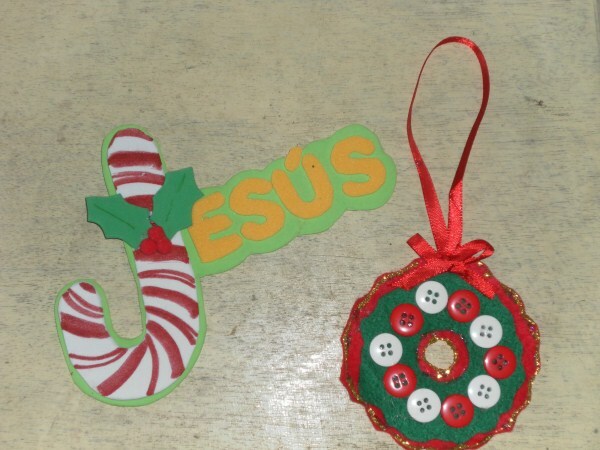 We had been invited by the church, Casa de Oracion por Todas Las Naciones (house of prayer for all nations) to give a Christmas themed arts and crafts workshop for up to 50 kids. The work for this labor of love begins with gathering the supplies. There are no Michael’s stores, and ordering stuff from warehouses like Oriental Trading company is not practical or cost effective. Brenda will spend a few weeks researching crafts online, looking for materials, shopping in the city one store at a time looking for just the right material or substitute to accomplish the craft. Right now, it’s the peak of rainy season, so walking from store to store can be easy and dry, or difficult and wet depending on the weather. I have joined her shopping a few times for stuff, and declare to you, this is a labor of love. For the week or so leading up to the workshop, our house becomes craft central. 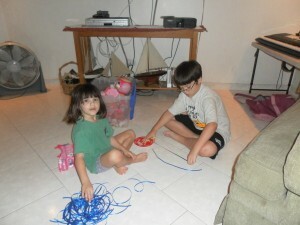 Our kids get involved, stuff is spread out over tables and furniture and floor as we seek to cut out all the little items, glue stuff in advance, and prepare pre-packaged crafts that we can give to kids. As crunch time approaches, the hours run out and we make our way to the community of Caimitillo. Getting to Camitillo not easy to get there. 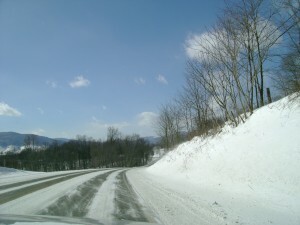 We went out a few weeks early, and due to a landslide, we had to take the long way around, off-roading for about 1 hour in our little 4 door sedan. Going this time, the road was opened, but the going was just as rough. It’s ripped full of potholes thanks to the heavy equipment like dumptrucks from the mine. At times we felt like we felt like we needed a 4×4 that would have been more suitable for the road conditions. Potholes, washouts, missing pavement all made the journey a little slower than usual. 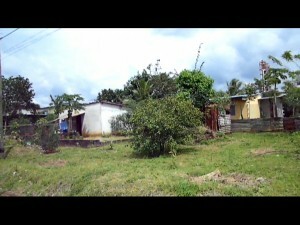 The neighborhoods are a mix of block homes and shacks made out of whatever is found. Every home is in process of repair, or in need of repair. As we drove around the neighborhoods, we heard Pastor Raquel describe her love for this harvest field. She knows nearly every family that has a child and has personally visited in nearly every one. Brenda led a workshop on Christmas crafts for about 50 handpicked kids, ranging in age from 3 to 13. 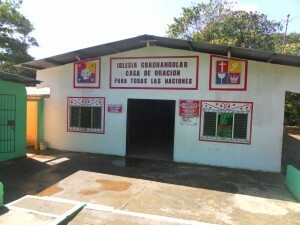 Some of the adult helpers used to be children in this ministry and have been won to Christ by Pastora Raquel’s ministry. The children made these crafts as part of a Christmas outreach for their parents. The crafts made today will be part of a year end presentation that the church is using to reach into the neighborhood and surrounding communities. Raquel once told me of one young girl, now 13, who has brought 6 other families into the church through her evangelism. This is hard work for Raquel and her family. Yet she dreams of these kids knowing Christ so that they will be active church members and transformative agents in the neighborhood. 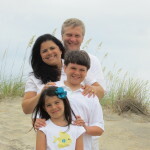 God has called our family to ministry in Latin America in partnership with local churches and missions. We are pleased to partner with Raquel and your support of this work enables us to help Raquel’s church reach out in love of Christ. Several months ago, I introduced you to Narciso, one of the students who went to Peru to continue his missions study. He visited with me last night to update me on his continued growth and progress towards the mission field. He’s graduating from the missions school in January and moving on to Costa Rica for further study and preparation for full time mission in one of the ***stan countries in Asia. He is a street vendor who has been preparing for the mission field for nearly 4 years. The stories he tells me of his ministry adventures in this country are amazing, though I cannot share them here. The Lord has been preparing him, and recently I got to talk with him about how the teaching we do here in Panama has impacted his ministry. As he has been working among a people were overt evangelism is impossible, he’s been able to see the process of evangelism more clearly. Even more so, he has to depend on the person and work of the Holy Spirit to make things plain, clear, and to create the spiritual thirst a person needs. God is speaking to these seekers Narciso connects with. God speaks through dreams, self-revelations, and Narciso has many conversations to help point these seekers to Christ as a result of these dreams. He told me this weekend how one of his new friends recently surrendered his life to Christ after having encountered God in a dream several months ago. That led to conversations with Narciso about seeking truth in the Bible, discovering who is Jesus as revealed in Scripture, and ultimately how to surrender his life to Christ and start the dangerous path of following Christ. The teaching on evangelism as a process has helped Narciso patiently wait and cooperate with God’s activity. It has brought him the freedom of trusting in the sovereignty of God. He’s learned not to rush the process, but to fervently pray for God to draw people to faith. 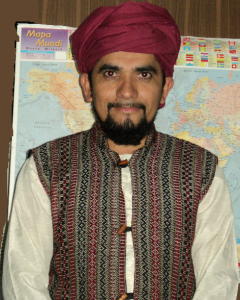 Now, Narciso is off to Costa Rica to prepare the next phase of cross cultural studies. I’m thrilled to be part of what God is doing in Narciso’s life and glad to be able to see the fruit of our training ministry. Matagalpa is a city about 2 hours to the interior of the country from Managua, the capital, and is tucked in a mountainous valley in central Nicaragua. In January 2011, I’ll be joining a team from PRMI to give a conference the weekend of the 7-10, focused on Praying in the Power of the Holy Spirit. Pastor Raul will be our host. Since we are in town for an event with Vida Joven (see Developing Leaders in Latin America), we were invited to have an additional conference in the city with La Fuente church. 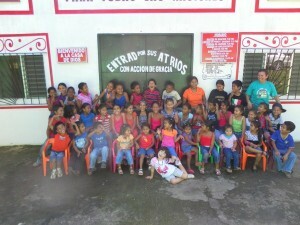 La Fuente church has hosted our team for the last two years when we come to town to work with Vida Joven. I can’t wait to hear how the church has grown and how they have been practicing cooperating with the Holy Spirit to do the work of the ministry there in Matagalpa. While the charismatic leaning congregation is familiar with experiencing the person and work of the Holy Spirit, the Ignite conference series we are doing with PRMI give them great systematic teaching. In our past visits many folks found it personally refreshing. We’ll focus specifically on prayer in the power of the Holy Spirit, looking at topics like healing and intercession, learning to listen to God, revival, and praying with vision and power. Your gifts to our ministry enable us to do this kind of work. Gifts given through this website will provide for our support for this and other projects. Click the Paypal donate button below to help us provide ministry for leaders throughout Latin America. Imagine being part of a team that trains evangelism ministry leaders from 6 different countries in just one setting? One expression of our calling as a ministry is to come along side other ministries and help them increase their evangelistic effectiveness. Other international ministries have a presence and are doing great work, and we get to partner with them in making disciples. We are but one family. We can only reach so far. But through multiplication of training other leaders, we can have an exponential reach. Raising up leaders from within their own countries is part of the work that we get to participate in. Those ministry leaders oversee other leaders. With their new knowledge, they are able to do the basic work of evangelism in the power of the Holy Spirit in their own countries. Part of our joy in ministry is coming along side others who are doing the work of evangelism in Latin America. 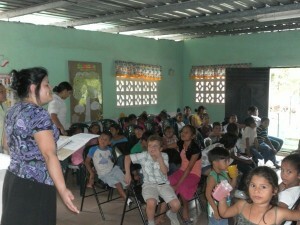 One such ministry is Vida Joven (Young Life). Many of the those leaders featured in this video are friends of ours. We’ve been with them for many years, watching them grow into the leaders they have become. We’ve heard their stories, their struggles, and their growth in Christ as as result of our work. 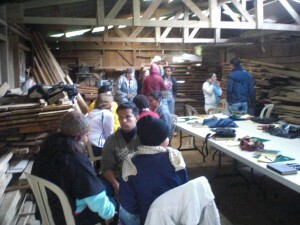 In January 2011, we need your help to get a 6th team to Nicaragua to continue training Vida Joven leaders. We’ll be training their national level leaders as well as some of the up and coming leaders. I want you to hear what Holman had to say about the ongoing multi-year investment. 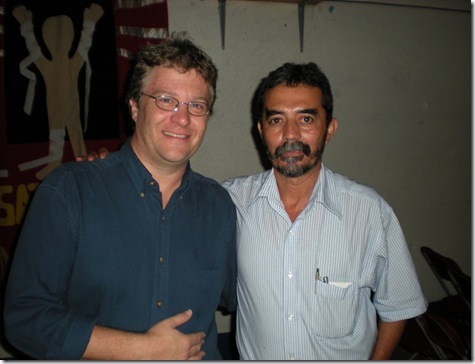 He is now one of the national directors of Vida Joven in Nicaragua. Every time we go, we see growth and development of the leaders in their understanding of the Holy Spirit as well as deep experiences of the healing and liberating work of the Holy Spirit. Young Life is doing awesome transforming work in Latin America, and we get to come along side them to help them reach the 150 million teenagers in Latin America: helping caring adults build relationships with kids, helping them to find Christ. Our team has made a repeated investment in training these leaders over many years since PRMI started going in 2002 to come along side Vida Joven. Up till now, this ministry is the peak experience of our ministry every year. We give ourselves away to provide training to what seems like 250-300 young people who are wanting to reach their friends for Christ. a class of 10-20 younger leaders (those in ministry for their 2nd year). plenary sessions of upwards of 250.